Why we need to Learn More about Packaging Perishable Commodities ? 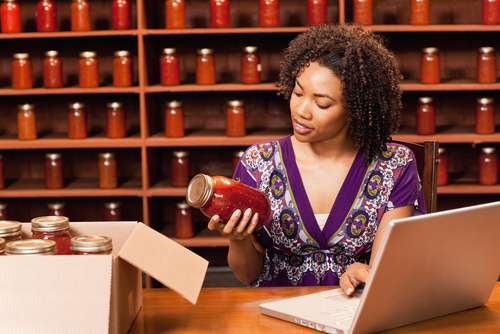 Packaging perishable items is a practice that’s driven by convenience, sustainability and product quality. Therefore, companies dealing with food and beverages need to be careful about their packaging standards, precisely for maintaining the quality of products and customers satisfaction levels. Moreover, with the evolving regulatory practices on-board, it becomes all the more important for the companies to abide by the pressing guidelines and offer packaging options that are sustainable and can improve productivity. Why Food and Beverage Packaging needs to be prioritized? The food and beverage industry boasts of perishable products and therefore, the packaging techniques for these entities must be different from the conventional ones. Companies packing food items and beverages must look to contain the products in an adequate manner, without changing the consistency of the same. Apart from that, the packaging options must be immune to any kind of mechanical damage. For aerated drinks and other forms of beverages, air tight containers are preferred; precisely for keeping external gases and contaminations at bay. In addition to all that, food packaging must be carefully selected in order to avoid physical and biological degradation of the sheltered stuff. Lastly, accurate product identification is another criterion for the concerned businesses and customers. The technical aspects of food and beverage packaging primarily involves two macro-functions i.e. logistics and marketing. While the former aims at protecting the product from physical damages, the aspect of marketing adds certain value to merchandise by concentrating more on vehicle condition and product preservation. If we were to further segregate these aspects, containment shows up as the most prior requirement. This industrial prerequisite determines the quality of packaging, pertaining to each and every product. The next determinant involves preservation and protection of the concerned merchandise. Information is yet another aspect of industrial packaging as food products and beverages need to furnish every detail regarding the substances and quality on offer. Needless to say, the underlining concept of product packaging aims at preserving and protecting the concerned food item. However, unlike other products, food-specific entities need to abide by certain rules and regulations that focus primarily on environmental sustainability. Majority of users throw away the packaging materials shipped alongside food and beverages and therefore companies must focus on the biodegradability quotient. Companies offering similar services must look to abide by the basics of recycling and disposal before sending out shipments with food and beverages in them. Packaging isn’t a random thing but requires a lot of planning. Before starting off with a plan, companies need to analyze a few factors and proceed with the same. 1. Companies usually start off with material selection as food and beverages cannot be shipped in usual containers. Depending upon the market, companies should focus on hygiene and quality of the materials used for packaging the concerned commodities. 2. The packaging design is also important when it comes to shipping out food and beverages. Companies must take into consideration that these commodities have limited shelf life and therefore the designs are bound to get complicated, in order to satiate specific requirements. 3. Once the material and designing aspects are out of the way, companies must start focusing on the consumer choices i.e. their preferences regarding the packaging options. Certain stores offering food and beverages have options for the customers to choose from. The size of the container, at times, is based on the discretion of the customers. 4. Transportation is also an important criterion for businesses dealing with food and beverages. Companies must readily pair up with firms that are prudent and can deliver products on time. 5. Another factor that needs to be taken into account is the end-of-life for the packaging material. Every container that covers up the commodity has a specific shelf life, similar to that of the latter. 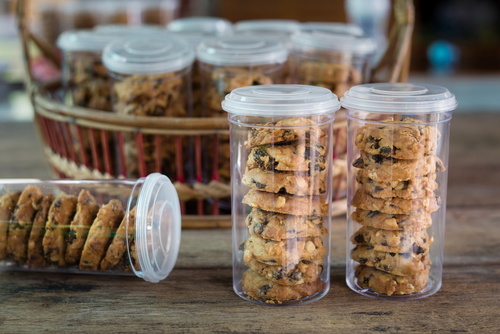 The food and beverage industry is completely dependent on bankable packaging solutions. However, unlike traditional ecommerce items, these commodities need to be packed and shipped with additional care. Moreover, businesses must also understand the fact that these are primarily perishable items and there must be a targeted model for making the most of the packaging strategies.